Thank you for considering foster care. The willingness of people like you to help Arizona’s children is part of what makes our State great! If you haven’t already done so, please watch the above video, which is part one of our five part video orientation. We’ve posted lots of information below, but if you want to talk with someone, please call us at 1-877 KIDS-NEEDU (1-877-543-7633). We’re happy to talk with you during business hours, or you can leave us a message and we’ll call you back. Foster care is a temporary situation where you care for a child who cannot safely remain at home. As a foster parent you need to keep in mind that the primary goal is for the child in your home to return to their own home, so you will be expected to support this goal (which is also known as a case plan goal) of reunification. Why Do Children Come Into Foster Care? Children come into foster care through no fault of their own. They come into care because their parents are not able to safely care for them, not because of something they have done. Successfully complete training. Foster parent pre-service training consists of 11 online courses that can be completed in the comfort of your own home and 15 hours of in-class instruction. Foster parents are vital members of the child's team. This training provides information about the roles and responsibilities of all the team members. Pass a home safety inspection. The Life Safety Inspection (LSI) is a vital part of the licensing process. DCS has to guarantee the situation in which children are placed is safe. Over the years there have been numerous areas that have been identified as common safety hazards that need to be guarded against. Over time these have been codified and incorporated in to Arizona Administrative Code Rule 21, Chapter 8, Article 1. You can review the LSI Preparation Guide here CSO-1601 Preparation Guide (CSO-1603-S Preparation Guide - Spanish) and the Pool Guide here CSO-1602 Pool Guide (CSO-1604-S Pool Guide - Spanish). If you’re ready to view the remaining four parts of our online orientation, please select STEP 2, to tell us a little about yourself and receive access to the remaining orientation videos. By submission of the message I/we authorize the Department of Child Safety (DCS) to release the above information on a need to know basis to other child placing agencies and DCS contractors, as needed, to begin the foster home licensing or adoption certification process. *A foster care representative will be contacting you to further assist you and answer any questions you may have. By now you’ve seen the entire orientation video and gotten some tips for selecting your licensing agency. So it’s time for the big question: Is foster parenting right for you? Of course you are the only one who can answer this question. But as you think about it, here are some things to consider. Do I have a strong support system? Foster parenting affects every aspect of life. So if you have a spouse or significant other, or children already in the home, it’s important that everyone is on board with the decision to foster. It’s also important to talk about this possibility with extended family members. The most successful foster parents are those who have a strong support system. If you don't have a support system already in place and still decide become a foster parent, it will be especially important for you to select a licensing agency with support groups in which you can participate. You will be communicating with — and perhaps advocating for the children in your care — among many different people as a foster parent. This list may include the children’s birth family, teachers and other school officials, therapists, DCS staff, judges and other court personnel, other foster parents, and your own family and friends, some of whom may not understand your role as a foster parent. And of course, you will be communicating as a parent to the children in your care. Do I have a positive outlook, even when facing challenging circumstances? Successful foster parents recognize that they are doing a difficult job, often with few accolades. The foster care system is not always easy to navigate. Children in care may not be grateful and they may demonstrate their fears, anger and confusion by acting out or through regressive behaviors. Do I have the skills needed to successfully manage the behaviors of challenging children? Patience and a sense of humor are important traits for foster parents. But it’s also important to remember that children in foster care have often endured abuse and neglect. Children may not have words to put around what they are feeling; a child's way of communicating is often through behaviors. Because children in foster care have experienced significant trauma, physical punishment like spanking is not permitted. Even the threat of physical punishment is prohibited. Instead, discipline and positive reinforcement is used to teach children how to change their own behaviors. Many foster parents have reported that techniques learned in pre-service training, particularly consistency and structure in parenting, have helped the children in their care thrive. This does not mean that you cannot physically discipline your own children; however, it is important to think through the message you will be sending to all the children in your home if you physically discipline one child but not another for the same incident. Do I know how to help children heal from their losses? Can I manage my own loss? Sometimes children are guarded and hesitant to trust their foster parents. While this is a normal reaction, it can also result in children self-sabotaging their relationship with their foster parents. Remember, it’s important for you to build a positive relationship with the children in your home — even when the days aren’t rosy. That’s where patience comes in! In training you will learn about supporting your children in the grief and loss process. Part of a foster parent’s job is to help the children grieve in a healthy way. Sometimes, however, parents don’t realize they have unresolved areas of grief in their own lives until a child’s response triggers feelings of loss in the foster parent. Remember, foster care is not a permanent arrangement. And when it’s time for the children to move on, foster parents need to know how to manage grief in their own household. Attachment is a good thing, for both you and the child. If the child can attach and trust you, they will be able to do the same with others in their lives and this leads them to a healthier future. But that doesn’t mean it won’t be painful for your entire family when children leave. Some families honor the children and their impact by creating a wall of each child’s artwork or their first names and handprints. As a foster parent you will attend many different meetings and work with many professions. Don’t feel intimidated; if you don’t understand something, ask questions! Remember, you are with the child 24 hours a day, 7 days a week. You have valuable insights into the needs of your children. As you think about these aspects of foster parenting, you may decide that you are not yet ready to take the next step. That’s OK. This is an important decision and one that may take time to make. In the meantime, if you have additional questions, you can always give us a call at 1-877 KIDS-NEEDU (1-877-543-7633) or email [email protected]. We’re happy to talk with you during business hours, or you can leave us a message and we’ll call you back. If starting slow is more your style, you may also want to consider getting involved with one of the Arizona organizations that supports children in foster care. Here are some other ways to get involved. Welcome to the foster care licensing matrix! We hope you’ll use this information as a starting point in your research, as you saw in the fifth orientation video. Remember to look at this as a job interview; your licensing agency will be training and supporting you. 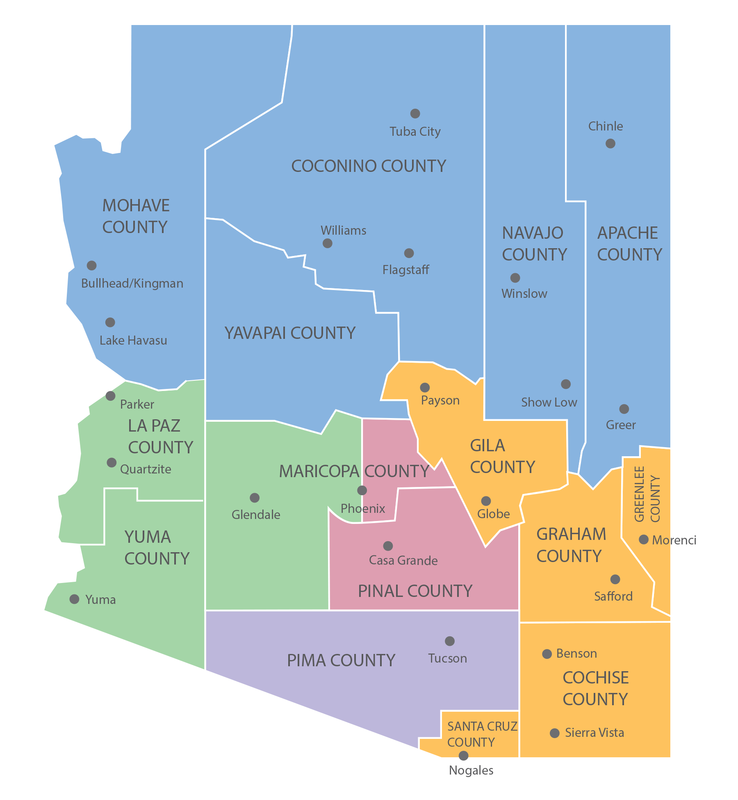 Not all agencies are contracted to work in every county, so it’s important to select the county in which you live. As always, if you have questions or want to talk through the licensing process with someone, please call us at 1-877 KIDS-NEEDU (1-877-543-7633). We’re happy to talk with you during business hours, or you can leave us a message and we’ll call you back. Agape Adoption Agency of Arizona, Inc.